It has taken more than 25 years but a Cambridge synagogue has finally found a permanent home. Beth Shalom has bought a site on Auckland Road from Cambridge City Council for £470,000. This means the congregation of 250 will have a home of its own, having lost out twice on previous attempts to buy a suitable base. At the moment the worshippers meet regularly at a school hall and hire the Guildhall for larger services. Thirteen years ago Beth Shalom's Council tried to buy a church hall in Blinco Grove. Last year it missed out on a bid to buy a site on Thompson's Lane. But now it has secured the Yasume Club site in Auckland Road. The Whittlesford architects Cowper Griffith have been commissioned to draw up plans which will include a prayer hall for at least 200 people. These will then be submitted to Cambridge City Council. 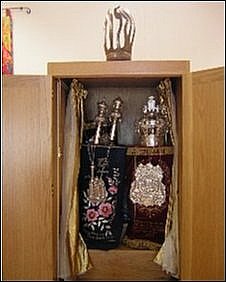 As the site was used by a club for so many years the synagogue council members do not have to apply for a change of use. 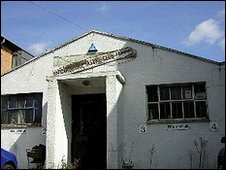 The Yasume club was founded in 1952 by the Cambridge branch of the Far East Prisoner of War Association (FEPoW). It was set up by men who served with the Cambridgeshire Regiment and were captured at Singapore by the Japanese. Many of the prisoners of war died because of the abusive way they were treated. The survivors received little official sympathy on their return to Britain at the end of World War II. So they organised their own support groups. The Cambridge Yasume Club was wound up in 2008 and the building has been empty ever since. Beth Shalom's congregation now needs to raise the funds to build the synagogue. Frank Harris, from Beth Shalom said: "It's the end of a journey. The community was formed in 1981 and now we have over 80 children in our Sunday School. It will be a magnificent day when we move into our new building." The Synagogue hopes to put its peripatetic past behind it sometime in 2012, when it settles down into a permanent home.